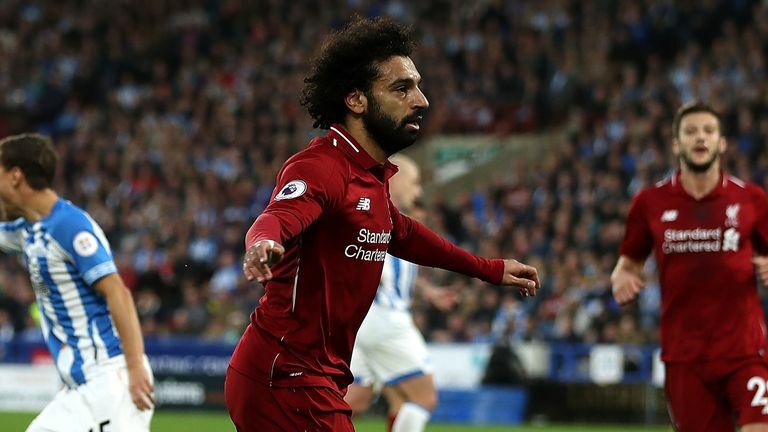 Mohamed Salah's first goal in five club games was enough to steer Liverpool to a 1-0 victory against a Huddersfield side who remain without a win after nine Premier League games. Liverpool's only shot on target all match proved to be the winner as Salah latched on to Xherdan Shaqiri's through ball (24) to score his 50th goal in English football. 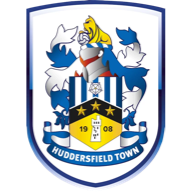 Jonathan Hogg hit the woodwork soon after, but it was as close as Huddersfield came to levelling, with David Wagner's side now without a home goal in five league games this season. The result leaves Huddersfield in 19th on three points, while Liverpool move back up to second behind leaders Manchester City on goal difference. With Jurgen Klopp handing Daniel Sturridge and Adam Lallana their first starts of the season, it was a slow start to proceedings at the John Smith's Stadium as Liverpool struggled with their link-up play in the final third. However, that was corrected midway through the half, as Shaqiri found Salah in a pocket of space before the Egyptian poked it across Jonas Lossl to score his fourth goal of the season. Salah's strike was ultimately the only shot on target all half, though Huddersfield did come close when Hogg's fierce strike from 25 yards hit the post. And the home side will feel they were denied a first-half penalty when the ball brushed both James Milner's thigh and hand, and soon after they saw a goal ruled out for offside when Alex Pritchard strayed just off before dinking an effort over Alisson. After the break, a header from the backtracking Laurent Depoitre forced Alisson into his only save of the match 10 minutes into the second half. Mohamed Salah and Virgil van Dijk were fit to start for Liverpool, but Sadio Mane (hand) and Naby Keita (hamstring) were not in the squad. Adam Lallana made his first start of the season in place of Georginio Wijnaldum, Daniel Sturridge started ahead of Roberto Firmino, while one Huddersfield change saw Florent Hadergjonaj come in for Rajiv van La Parra. 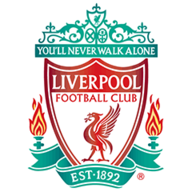 The game continued at a leisurely pace, and it was Salah who then spurned Liverpool's best chance of the half when stroking an effort wide of Lossl's far post. Huddersfield's big opportunity came with 10 minutes to go, but after Virgil van Dijk and Dejan Lovren failed to clear a cross, Steve Mounie could only fire over from 10 yards out. Joe Gomez impressed defensively for Liverpool, while Adam Lallana returned to the fold as he looks to build up his match fitness. Jordan Henderson went off at half-time with a tight hamstring, while chances were few and far between for Daniel Sturridge. Trent Alexander-Arnold remained on the bench. Liverpool have become just the fourth Premier League side to win 200 Premier League games away from home after Manchester United, Chelsea and Arsenal. Liverpool are unbeaten in 13 matches in all competitions against Huddersfield (W10 D3 L0) and haven't conceded a single goal in any of their last eight against the Terriers. Huddersfield have managed just two shots on target across their three Premier League games against Liverpool. 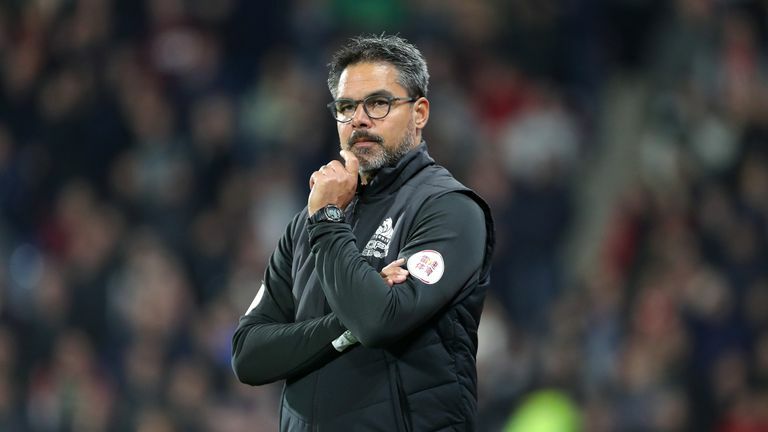 Huddersfield have failed to score in their last seven home Premier League games since Tom Ince netted in a 1-0 victory for the Terriers against Watford back in April - only Manchester City (8 in 2006-07) have ever had a longer such run in the competition. Huddersfield have become just the second side in Premier League history to fail to score in any of their opening five home games of a season after Everton in 1998-99. Highlights of the match are unlikely to make Liverpool's end-of-season showreel, but three points is still three points. They were clinical when it mattered, and resolute in defence once more, recording a sixth clean sheet in nine league matches. At the heart of Liverpool's defence was Dejan Lovren, who made 11 clearances, two tackles and two blocks to keep Huddersfield at bay. David Wagner: "If it's the case that luck over a season evens out, then we're going to have a lot of luck in the next 29 games. "It's true we have problems scoring goals, but it's also true that we're performing at a very high level. "We're creating opportunities and have the spirit and the passion and desire to limit an opponent like Liverpool." Jurgen Klopp: "The basis we have created so far is brilliant - 23 points.I don't think I (have) had that before after nine games. And still space for improvement - good as well. So let's get home and work on improving. "It was not that bad. It's maybe the first period in my life that we are winning average matches. That's true." 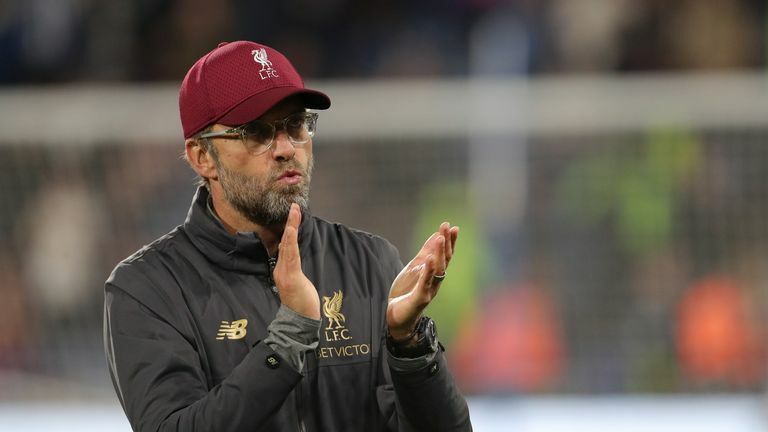 Huddersfield travel to Watford next Saturday for a 3pm Premier League kick-off, while Liverpool host Crvena Zvezda in the Champions League on Wednesday before welcoming Cardiff to Anfield on Saturday.